This wonderful old globe was made by Replogle. 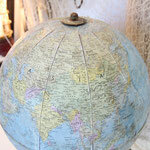 It is at least 40yrs old as it shows Sri Lanka named as Ceylon. 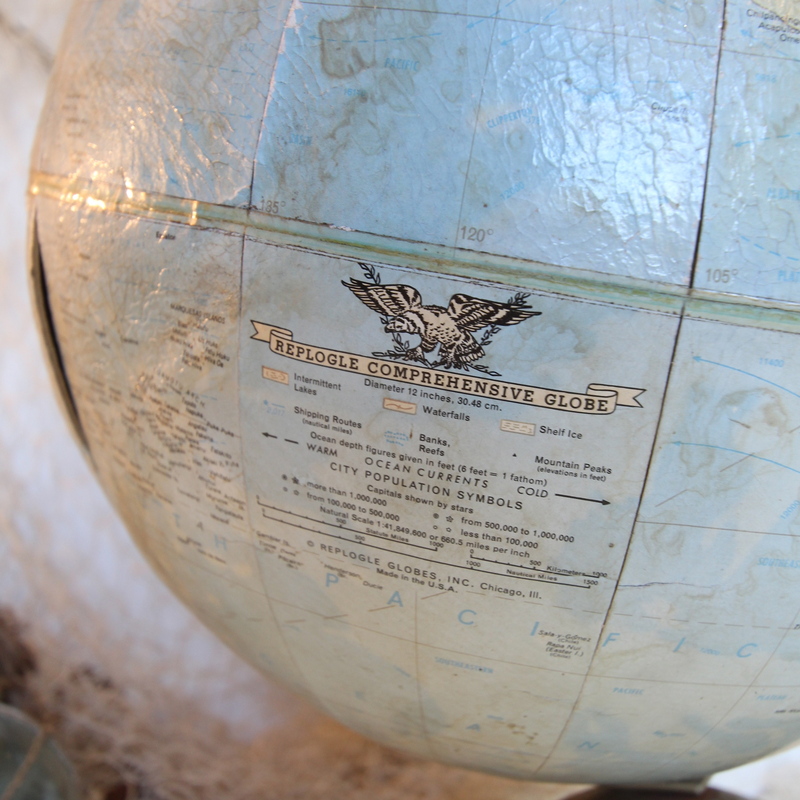 The country's name was changed in 1972 when it became a republic. 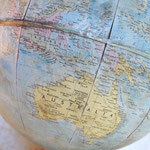 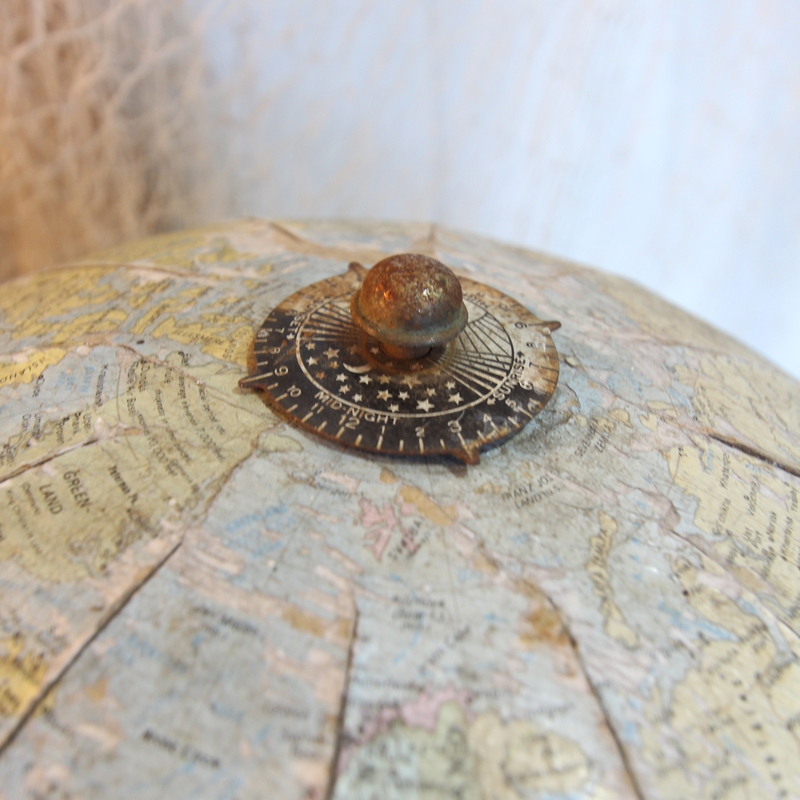 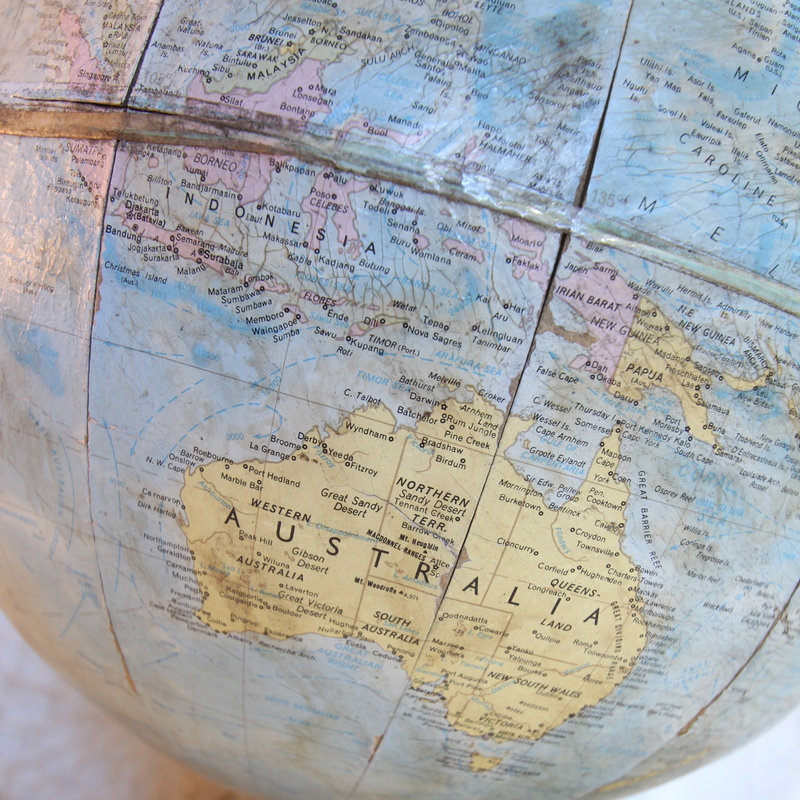 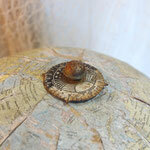 It has a metal base with metal details, with the globe in lovely soft blues and yellows. 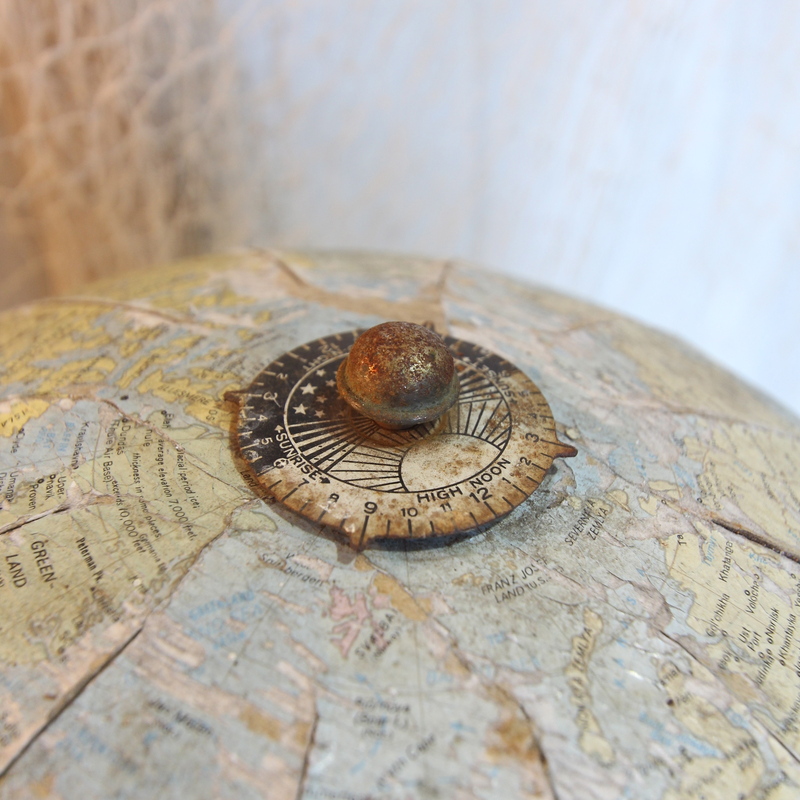 It is a little lopsided, well worn and may have been exposed to the weather. All these elements, age and use adds to it's wonderful character. 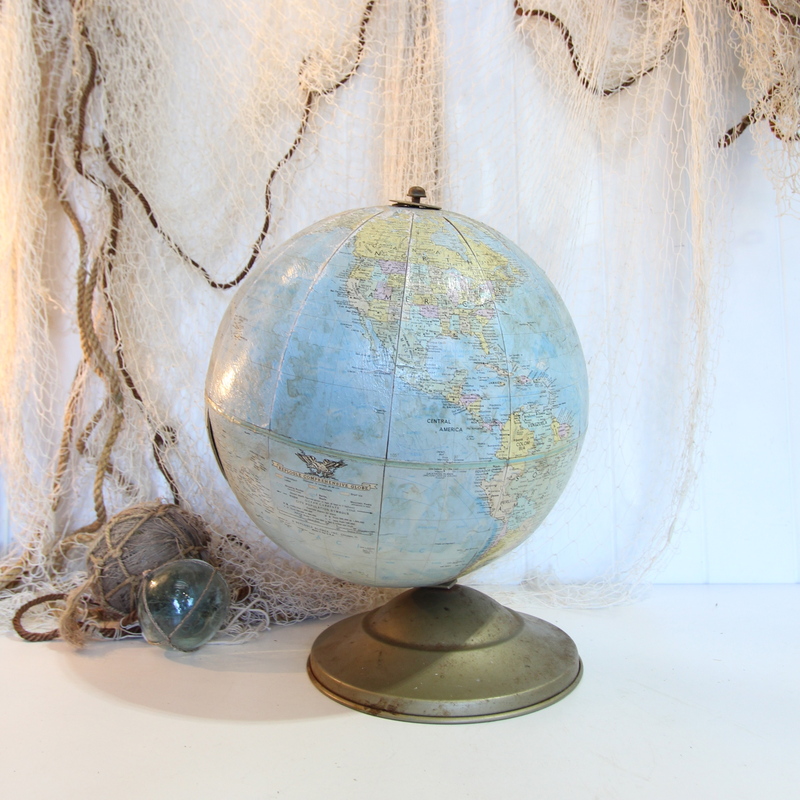 Perfect for an office, children's room, or as a feature piece in the home to fuel your wanderlust.